SCAN gets the lowdown on the Women's Cricket team. Each fortnight, SCAN brings you an inside peek at one of our fantastic sports clubs. Read about what they get up to, and get the latest on how they are representing Lancaster in competitive sport around the country. 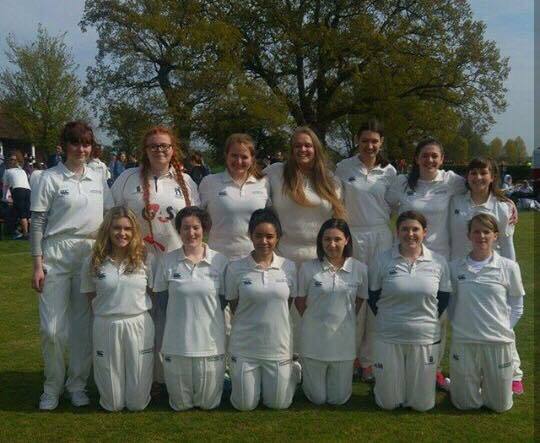 In this week’s edition of Club Column, SCAN will analyse the rise of women’s cricket over the last number of years, while also talking to Lancaster Women’s Cricket Club Captain Jennifer Milliams about the club. We began by asking Jennifer what makes women’s cricket such a great society: The women’s cricket team is so welcoming and friendly and that’s what I love most about this team is everyone is made a part of the team, we all come to training excited to see each other and to train as a team. It gives girls the opportunity to compete in a sport they may know little about but quickly start to enjoy. 28th of December 1934. England Cricket legends like Myrtle Maclagan, scorer of the team’s first ever test century just a week later, take to the field in Australia to play in the first ever test match for England’s women. The crowd response is described only as ‘warm’. 23rd of July 2017. England’s women win the Cricket World Cup at a thunderous, sold-out Lord’s (just over 40 years after they were not even allowed to play on the spiritual home of English Cricket), completing a stunning victory over India to lift the trophy for the fourth time. The victory was made all the more amazing when you realise India were playing at 191 for 3 while chasing just 229. Inspired by an astonishing performance by Anya Shrubsole (whose bowling figures of 6 for just 46 go down as the best in world cup final history), the team edged out one of the greatest matches in tournament history and etched their names into the annuls of British Sporting history. 17th of December 2017. The England women round off a turbulent year by being named as the winners of the coveted Team of the Year award at the BBC’s Sports Personality of the Year show. Women’s cricket in England has shown such an explosion in popularity over the last number of years and this was never more evident than in this years World Cup. With Prize money 10x what it was in the last tournament in 2013 and TV coverage now expanded to encompass every single moment of every game, as fans of the sport grow so does the demand for more content. Viewing figures for the final reflect this. 1.1 million fans watched on in England alone, with more viewers tuning in then for the average Premier League football game for this season (which is only the most popular league in the most popular sport worldwide) and the global audience is estimated to have reached around 50 million, 80% higher than the previous tournament in 2013. With continued thrilling matches and star-making performances from Shrubsole, who was also nominated for the individual prize at the SPOTY awards, fans will be hoping this leads to an even further increase in both coverage and participation. Finally, after talking about personal highlights we asked for Jennifer to sum up why people should join the society. ‘If anyone is looking for a friendly and exciting team to join then I would definitely say that we would be the best team for that. Training sessions are always a good laugh and we have a coach once a week too. It is the most welcoming team of girls and half of the team had never played cricket or even knew the rules before they started at university so we welcome any experience level’.